The pilot of a light aircraft has died in a plane crash on the Buckinghamshire and Oxford border. The aircraft left Turweston Aerodrome in north Buckinghamshire but then crashed at Aston Rowant Nature Reserve at 14:35 GMT. 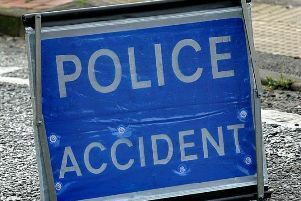 Road diversions are in place around the area and an investigation into the crash is under way. The man's next-of-kin are yet to be informed. The Air Accidents Investigation Branch said it had sent a team to investigate the crash site. A Statement from Thames Valley Police said: "
"Thames Valley Police officers were called at 2.35pm yesterday following reports that a light aircraft had crashed at Aston Rowant Nature Reserve. His next of kin have been informed." This comes as a yellow weather warning was issued for the south of England, creating treacherous conditions for travellers. It is not yet known if this contributed to the accident. Air Accidents Investigation Branch have been approached for comment. More when we get it.